Another permit for taking of marine mammals will undoubtly be approved by the Dept. 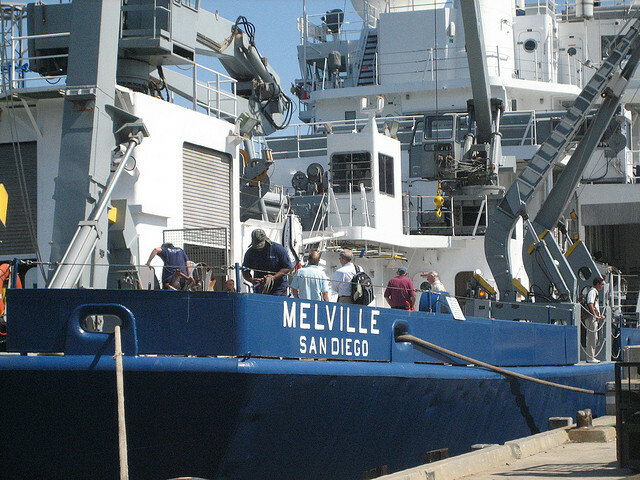 of Commerce, NOAA,and the National Marine Fisheries Service(NMFS). We made a post asking others to submit similiar objections on this issue. https://championsforcetaceans.com/2011/12/13/u-s-navy-surtass-lfa-program-and-the-taking-of-marine-mammals/ This issue will not go away any time soon and will only happen when and if conclusive scientific evidence is submitted proving that the danger of this technology is outweighed by the risks to the marine community.The following is my letter submitted to NOAA in opposition to the use of multiple air guns abbreviated (SURTASS-LFA) off South Africa and listed as being in the Indian Ocean. In Sept of this year I opposed RIN 0648–XA507, a similar request to conduct sonar testing in the Pacific Ocean between the Hawaiian Islands and Guam. My intent here is to again reiterate concerns as well as add additional challenges that I have identified since that submission. The Dept. of Defense in accordance with what I assume is the MMPA has previously agreed to certain limitations regarding testing SURTASS LFA in zones adjacent to continental landmasses which I will categorize as continental shelves. The limit that has been established is 20 km or 12 miles. The mire fact that testing is no longer conducted in shallower waters is in fact an admission of the potential danger to marine mammals in these near shore environments. Previously, the navy has admitted to the wrongful death, based on traumatization of marine mammals,’ in cases that include Puget Sound and the Bahamas documented by Ken Balcomb. Granted these where mid-range frequency sonar systems and at higher decibel level sonar deployments but the proof has resulted in less invasive equipment, less area for conducting testing, and less deadly outcomes with living communities within all oceans, seas and bays. A further indication of the potential compromising of the well-being of marine animals has been the establishment of some 20 worldwide marine reserves which are presently protected from activates such as those being advocated by this particular request. These 20 global reserves admittedly are a small step, looking at the globe, 20 dots is hardly discernible when considering the vastness of all oceans and seas, this is really a minimal effort. What is significant is the admission that a need exists to preserve habitat that might be otherwise affected by adverse anthropomorphic activities in this case sonar testing. Verification of events that have occurred in pelagic zones, simply identified as open oceans and beyond continental shelf zones, occurred last month in the Mediterranean Sea in which whales (Cuvier’s beaked whales)unknown to this area and considered pelagic stranded themselves in some cases and others washed ashore dead. After undergoing necropsies the determined cause of death was similar to what had previously occurred in the Canary Islands. http://aeinews.org/archives/1698/comment-page-1#comment-429 . The point that just because we think something is true does not mean it is the absolute truth. The implication here is it was thought that pelagic zones adjacent to shallower water would not funnel sound from deeper to swallow. Based on what was reported the sound was heard at waters edge by those involved in rescue attempts during the actual stranding. Here is the actual quote from that article, ” rescuers in two separate locations during the initial strandings report hearing a “whistling” noise at 10-15 second intervals; it’s quite likely that this sound was what drove the animals ashore. While rare, this is not the first time that humans above the water have heard underwater sound transmissions during stranding events.” The actual video with Ken Balcomb is included here because of the factual presentation of what really happens. http://www.youtube.com/watch?feature=player_embedded&v=O9gDk29Y_YY Granted events such as these will no longer happen because of the restrictions on sonar in Puget Sound as well as the Bahamas. However as I have mentioned the new occurrence in the Mediterranean resulting in the deaths’ of Culviers beaked whales and the fact this testing was conducted in pelagic waters bring new questions on this technology. Specifically bathymetric parameters must be considered even in deeper ocean waters adjacent to land masses. At this time I have no knowledge if such conditions are found within the identified areas of Southwest Indian Ocean where this research will take place. It would be most important to postpone this and all permits of this nature until the reoccurrence of similar events can be eliminated. The following are lifted directly from the permit application and have been selected as points of contention that deserve diametric comments. My Comment: The wording, “may have short-term behavioral disturbance,” is greatly oversimplified based on the preponderance of evidence claiming the opposite. The mire posting of the story from the Mediterranean last month provides factual evidence that seismic sounds most certainly can cause behavioral changes. I previous have mentioned Ken Balcomb and have found the following statement which too me expose the real danger of LFA. “Therefore, based on two significant mass mortality events (Greece and the Bahamas) the body of evidence indicates that not only is resonance with LFA and sonar frequencies a problem for beaked whales, the sound pressure level of 180 dB RL is demonstrably not safe, and it is probably not safe for other cetaceans (two minke whales and a dolphin also stranded in the Bahamas incident). Aversion and/or physiological damage evidently and repeatedly occurs in beaked whales at levels of somewhere between 150 and 180 dB RL (probably nearer the former) of either low frequency or mid-frequency sonar signals in the whales=92 normal habitat. Clearly, the impact of high-powered rapid-rise acoustic energy (such as sonar), particularly at airspace resonance frequency, on these animals is occurring at significant distances well beyond the current mitigation distance (1-2.2 km) used by the Navy. These impact distances can be easily calculated, and they are more like 20 to 100 kilometers, and more well over the horizon of shipboard observers.” Copied from http://www.acousticecology.org/oceanlfasbalcomb.html Here again we not only have proof that damage will occur but well beyond distances attributed as safe. At some point the applicant insinuates that the height of the boat above the water line (42 ft.) will allow for save observation of approaching whales. Based on the above the listed distance at which 160 db, will be heard is in fact more than a factor between 10 at the least to as much as 50 greater than the distance damaging sound waves will be heard . What the Navy needs to do is build ships with observation towers basically 10 to 50 times as high. This is ridiculous so this entire premise should be retracted or eliminated. My Comment: The term motility implies free swimming , to move spontaneously and actively. Again this is greatly oversimplified based on the preponderance of evidence claiming the opposite. Within your own documentation I have found that some species of whales will avoid those areas ensonified and in other species stop communicating when encountering ensonification. I appreciate that individuals have the opportunity to make comments on projects that will impact marine populations. In this particular case the ocean has been contaminated by sounds which have interfered with the ability of sea creatures to survive. NOAA must stop awarding permits to the U.S. Navy and Ocean Research companies, that are injecting into the ocean, intrusive sound waves into an already confusing and damaging array of anthropogenic created wave forms. This was submitted on Dec 21, 2011 just prior to the deadline.